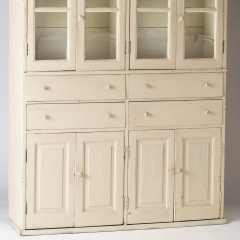 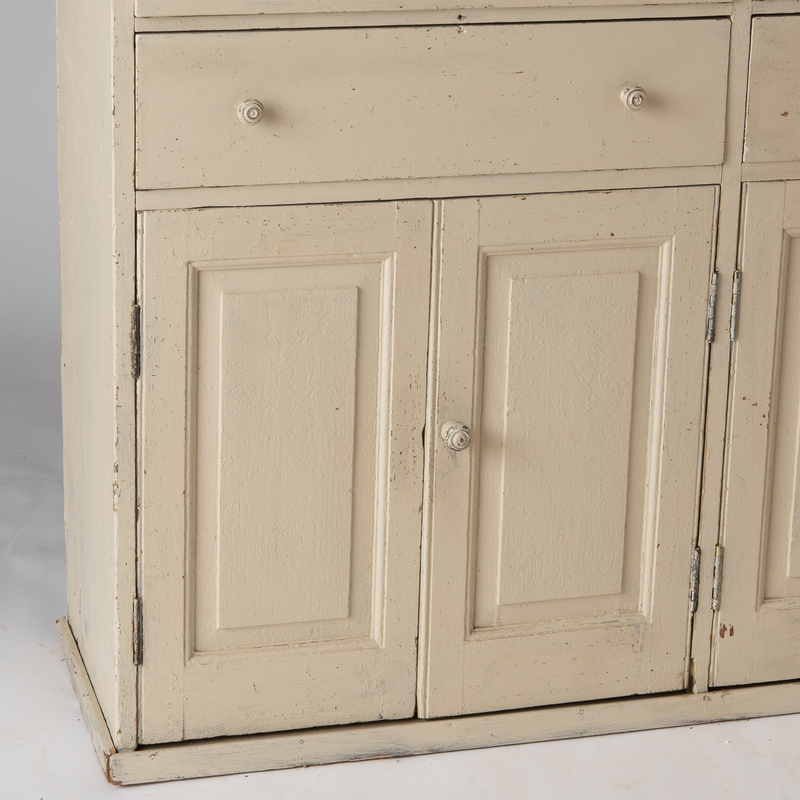 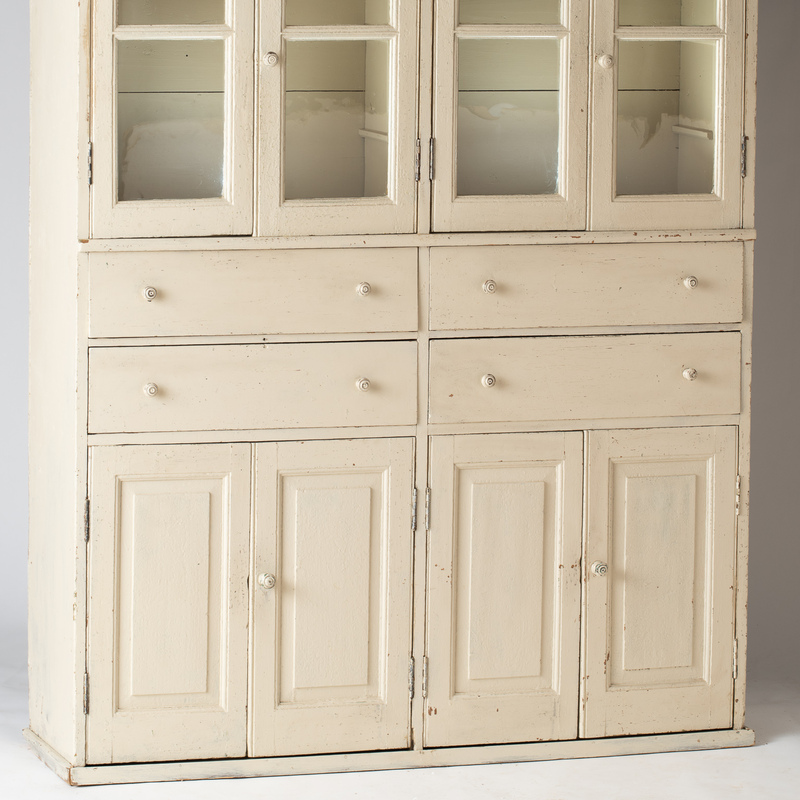 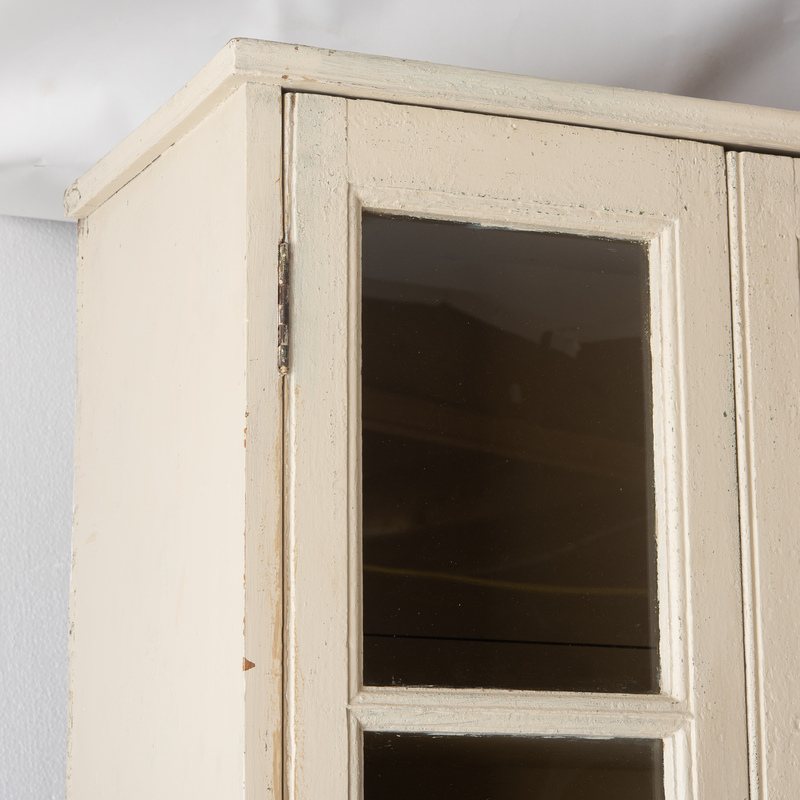 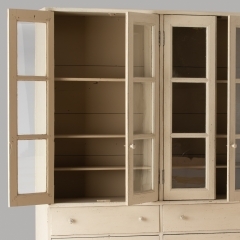 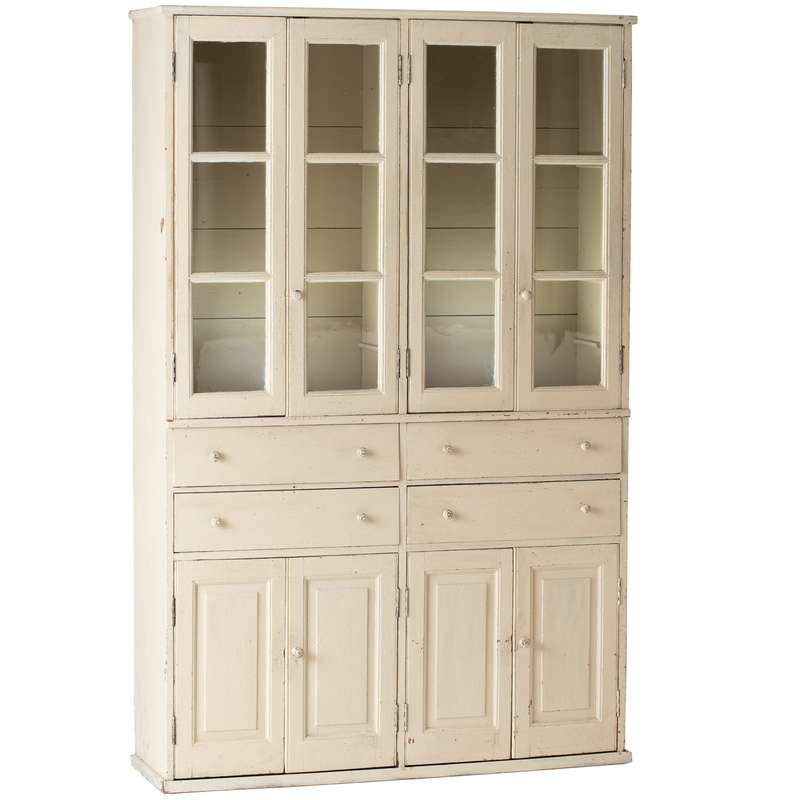 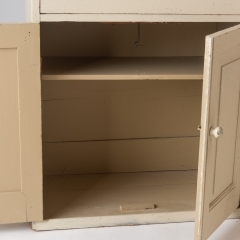 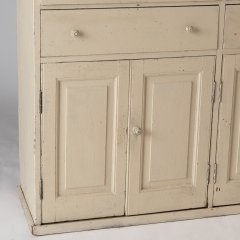 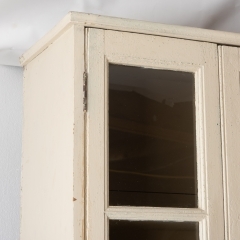 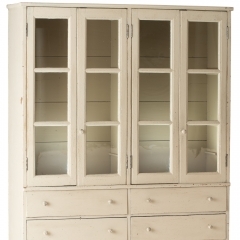 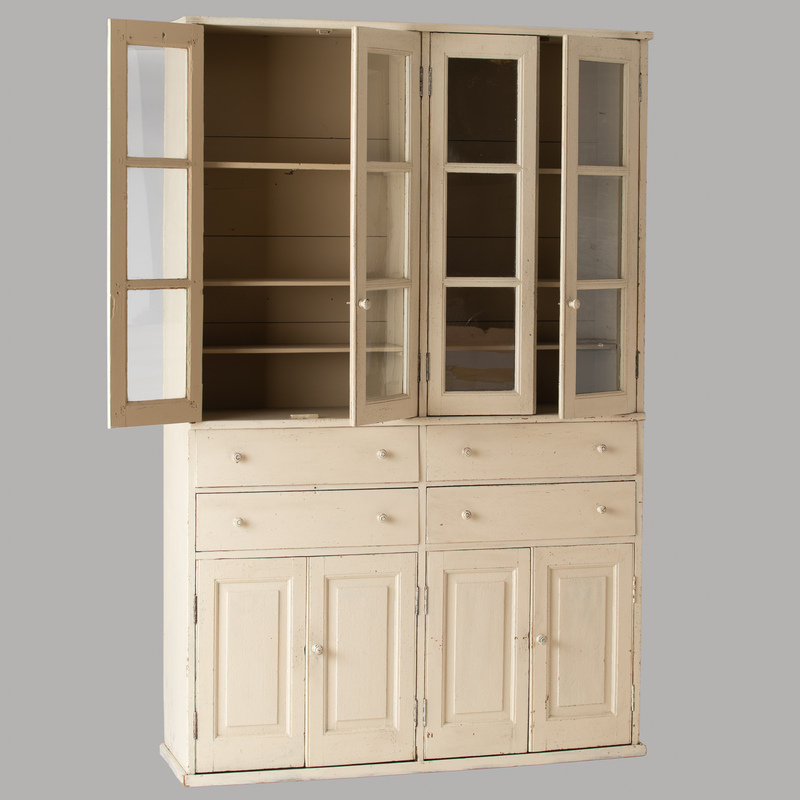 This useful cupboard has the look of a piece that might have been the focal point of a country kitchen in Provence. 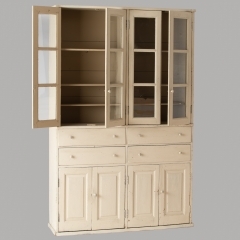 With glass doors and three interior shelves, it is ideal for displaying glasses, and the four center drawers are the perfect spot for linens and flatware. The two bottom doors provide additional storage for larger items. 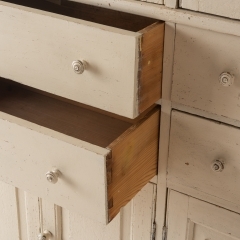 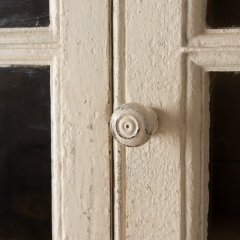 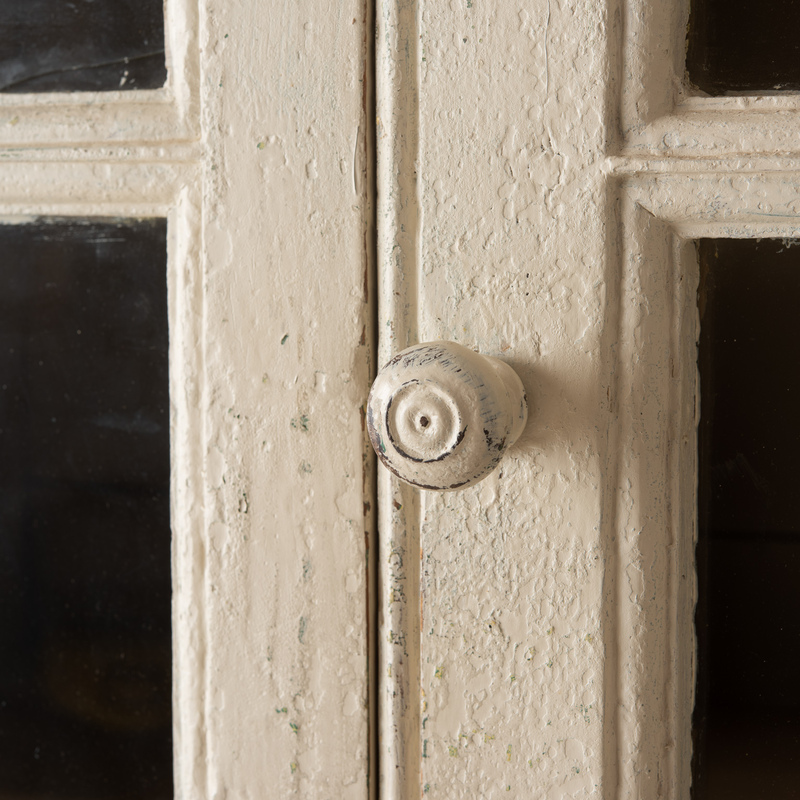 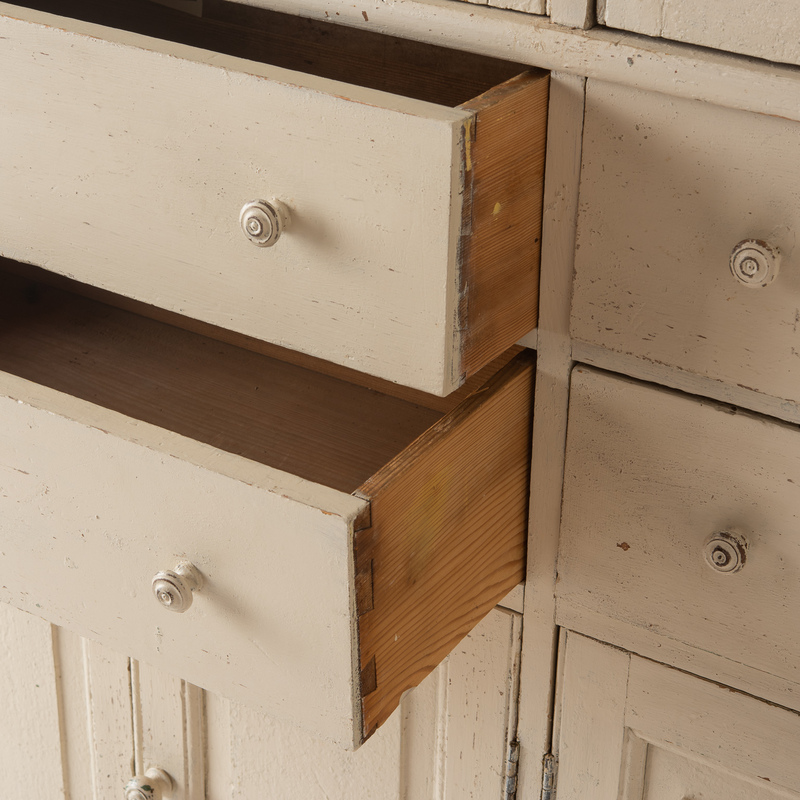 It retains the original knobs and old glass, and the pale cream paint is in good condition.